​Why do we need wildlife? We domesticated wolves into dogs, mens best friend to date. We develop cattles and birds into livestock, meat that we consume in our everyday lives. The ocean and rivers provide us seafood and water. Grasslands and forest fertilized by wildlife provide us fruits and vegetables. Insects pollinate plants and they grew us the woods we harvest for shelter. Oxygen, where you think they came from? Science drew inspiration from animals. The architecture of a bees nest, termite mound and a spiders web. The biochemical properties and chemical breakdowns of venom plays a vital role in the medical world. Animals were used in our tests and technology to create vaccines and life saving bacterial insulins. 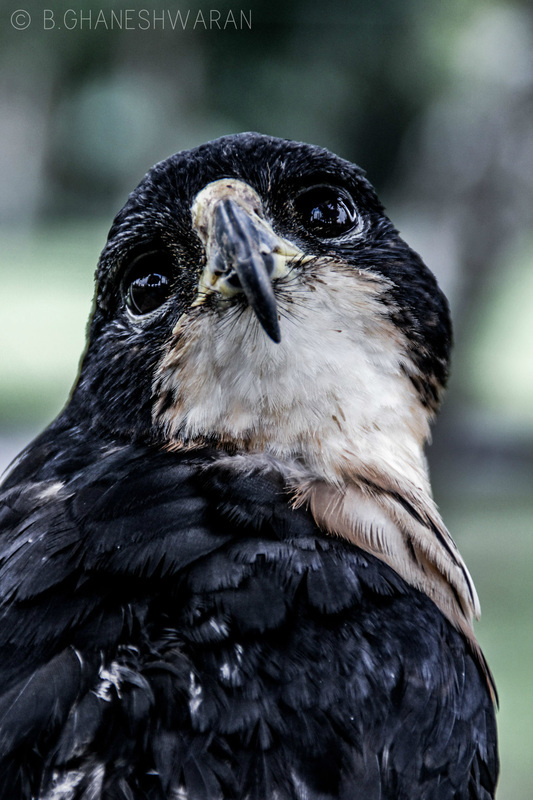 The aerodynamic design of a birds wing is the baseline for our aerospace industry, where the theory of flight applies. The observation on buoyancy and pressure sustainability of a whale is the core of our marine innovation. Social studies on animals exposed the importance of empathy and compassion. Today, lets take a moment of truce. Lets realize that the appreciation on animals needs to be revived. Wild animals survived millions of years adapting and evolving before us. They inherit a complex value, more than what a human possess. They are one reason we have a choice to continue existing. We need them, they don't need us. Imagine a world without the mischievous personality of dolphins and chimpanzees. Imagine a world without the acoustic singing of humpback whales and birds. Imagine a world without the orchestra of insects and nightlife after sundown. Imagine only humans on Earth. We owe them. We need them. We have to co-exist. Lets celebrate World Wildlife Day on the 3rd of March every year by showing their essentials and contributions to mankind. Give them the space and freedom they require. Share your love and compassion. We are nothing without them. Initiate your responsibility. ​Simply by raising awareness and sharing this to everyone. Through the context of Hinduism, I was named after Lord Ganesh. A deity who is portrayed to have the head of an elephant, symbolizing strength and compassion. Ever since my dad told me this, I have a special connection to these gentle giants. Elephants are known for their physical power, yet beneath these giants are some emotions we fail to understand. They can show grief, anger, self awareness, humor, playfulness, sweet temper and amazing learning capabilities. Their memory can span over years and the level of intelligence they possess is also beyond believe. Elephants are socially complex animals, known to nurture their young, practice family bond among themselves, live in herds with adults and juveniles alike. Some studies throughout the years showed elephants are capable of mimicking their rangers and trainers in captivity, a proof that personality does evolve in each individual. They can detect changes in human emotions, color differences and possess critical thinking when utilizing tools. Elephants are also superior to humans in keeping track of multiple objects in a three dimensional space. My parents named in hopes that these qualities can be built from within, becoming a better person as I grow old. Its some sort of a reminder that I will have to control my inner self and my actions towards the world. Elephant population has dropped approximately 62% over the past decade, and they could be gone entirely by the next. Ivory trade is one of the culprit. We often hear when the buying stops, the killing can too. But in today's world, buying seems to be part of our daily routine. We buy things we don't need and consume faster than nature's ability to replenish. But how does that connect to elephants? Remember that ivory is not the only reason elephants are disappearing. Their home and vast open lands are destroyed for agriculture and consumables in the masses. With no home, they are forced to have conflicts with humans. Many are poisoned and electrocuted. Some are shot and trapped to die. Young ones are among the victims. I started this blog to be a voice, and if you're reading this, I've made an impact. Say no to exotic animal products. Consume responsibly. Share your thoughts on this topic to everyone. 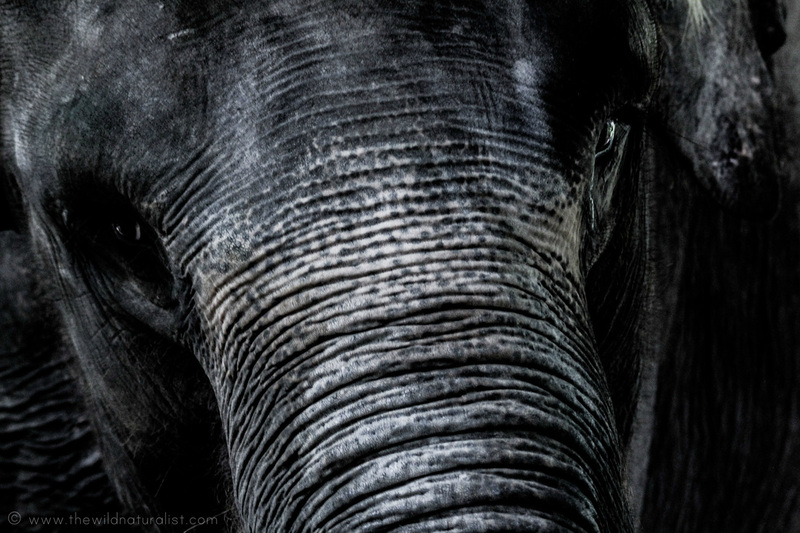 The next time you see an elephant, look into its eye. You will know what I mean. The one thing I love in science fiction movies are monsters and creature features. Sketching them will be my next motive right after watching one. I remember many people were sceptical about how a giant leech swallows Andy Serkis whole, in sections while he was alive and active. This was the fight for survival scene in King Kong. The group falls into a pit full of insects, only to realize them crawling from the dark and devouring everyone one by one. Its just an eerie feeling watching giant bugs eat people. This is the Mimobdella Buettikoferi, commonly known as the Giant Red Leech of Kinabalu. It can grow up to 12 inches and able to eat anything twice its length and width. Yes, a flesh eater, unlike its blood sucking cousins. BBC filmed an exclusive footage of this slithery friend swallowing a giant earth worm like a spaghetti. The nightmare portrayed in that film is as real as it can get. Only imagine its bigger and unknown ancestor when the world was ruled by one super continent. Always remember, there is more to see than meets the eye, and never underestimate what is beneath us. I'm wondering what else is out there. For those of you who love camping in Kinabalu, especially the guys, be alert and protect yourself. If you know what I mean. There are many untold stories. Girls, wear gloves. You love your fingers too right? This is an eye opener to all of us. Although hypothetically they are not extremely harmless but the panic button in people is far more dangerous and alarming. Borneo has always been one of my favourite monsoon jungles. The biodiversity in these perimeters are just astonishing. 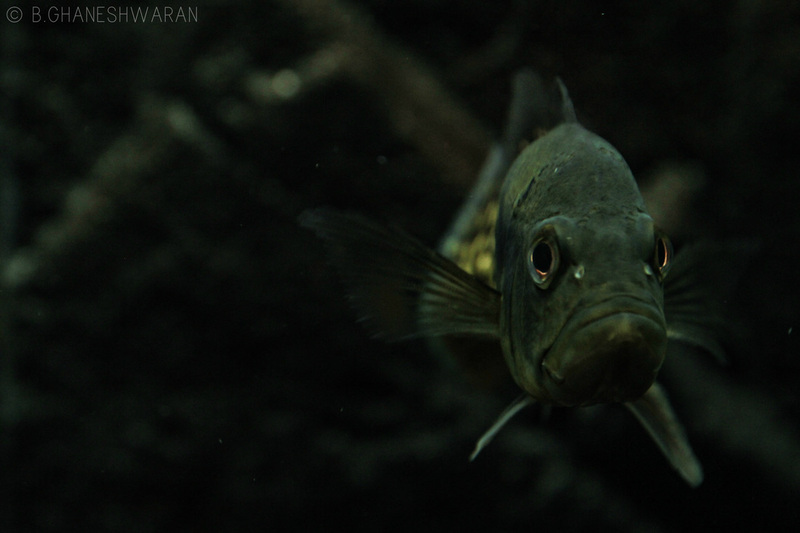 From mammals to arthropods, something always lurk within the tropical layers. Anyway, this new finding hard to digest for you? I find this as an outstanding discovery. The behaviour and predatory personality of this leech is beyond what we have seen. Full story and video link as below. Here's why. Some species such as the loggerhead and green turtle are frequently seen in the Great Barrier Reef, located in the Coral Sea, off the coast of Queensland, Australia. While others such as the Olive Ridley and Leatherback are known to occur but are seldom seen. This story is not only about turtles, but the turtles natural habitat, and thousands of other exclusive marine life. 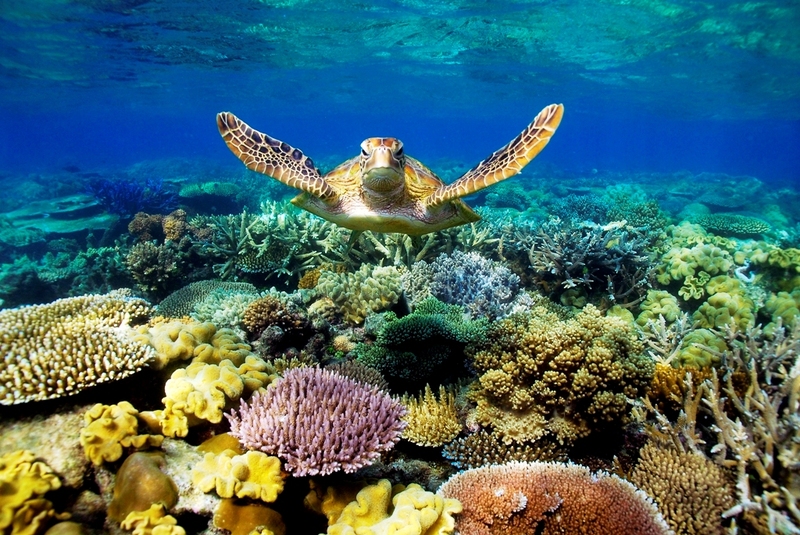 The Great Barrier Reef is the world’s largest World Heritage Area. It contains the most extensive coral reef system on the planet, with 400 species of coral, 1,500 species of fish and 4,000 types of mollusc. It can be seen from space and covers 10% of the total coral mass on Earth. Making it the largest biological structure made by living organisms. An ecosystem so vast and rich, it is considered as Mother Nature's Mona Lisa of the ocean. So here's the issue. The coal industry. 4 new mega ports, including one of the worlds biggest coal ports in the world is in plans to begin operation. The result would be over 100,000,000 tonnes of dredge spoil to be dumped in the world heritage waters. 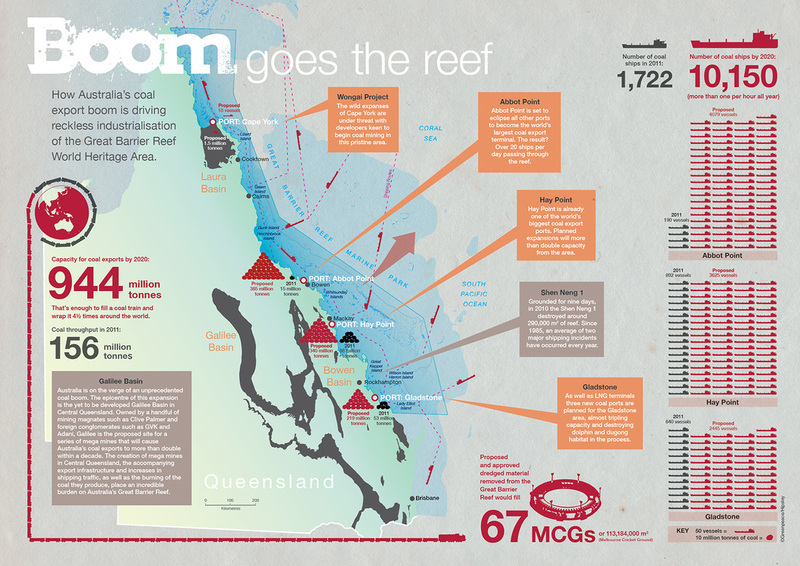 To top it up, an estimation of 7000 industrial ships will be crossing the reefs each year. The millions of tons of dredging and thousands of coal ships per year could turn the Reef into an industrial zone and shipping superhighway, collectively creating an environmental hazard and potential mass killings of marine life. And you thought it was protected all along? I once thought that too. We're both wrong now. The info-graphic below that I manage to source from the Internet, shows the impulsive actions by Australia's coal export industry. For a light-box view, click on it. To tackle this issue, following the success of Virunga National Park's conservation effort, UNESCO and The World Heritage Committee are in talks to consider the preservation of our reefs. Thus YouNesco was born. YouNesco is a new initiative created by WWF in collaboration with UNESCO to make sure that you, the people of the world, are heard when UNESCO makes big decisions. It works like this. By voting you become a YouNesco ambassador. Then when UNESCO vote on big decisions, you do too. They package up your votes and present them to the UNESCO ambassadors before they cast theirs. They get to hear from people all over the world before they vote. You get a say in what happens to your world, and play a part in the decisions that are normally made behind closed doors. Coming back to the thunderclap, millions around the world are encouraged to tweet, post and share their concern using hashtags in every social media forums available. #FightfortheReef was the format given by UNESCO and WWF. 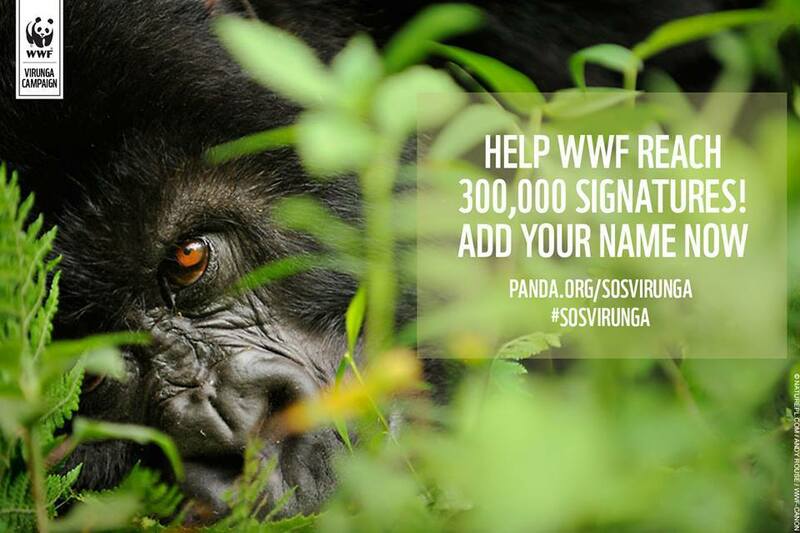 This will create a global Social Media Storm that the World Heritage Committee and Australian Government can’t ignore. A moment where your opinion matters the most. I did my part in Twitter, Instagram and Facebook. I have to say that life begins in the ocean, and a possibility of life ending in the ocean is not something I would give up, or not fight for. The response and support I witness was overwhelming, I know I was not alone. This event took place on a special day, a day that reminds us on how gentle and beautiful turtles are. If 10% of those gentleness was replicated by mankind, I dare to say we will be living in a better and humane world. So, the votes have flown. The meeting and case should be over by now. All we can do at this moment, is to keep our fingers crossed and hope. Hope has no boundaries and limits. This vote is not only for the turtles, but the stability and biological community they share with. Its quite a strategy to make World Sea Turtle Day as a monumental execution timeline. Before I end this session, just ask this yourself. How would you visualise to the current generation about a Dodo? You cant, they were long gone before we even existed. Now ask yourself again, would you be able to explain a turtle instead? Of course, they are still here, living among us, sharing the world together. But do not let them to fade away and suffer the same fate as Dodo's. They deserve a chance like any other animals, most of all, compassion from us homo sapiens. Life on Earth is beautiful by co-existing together. 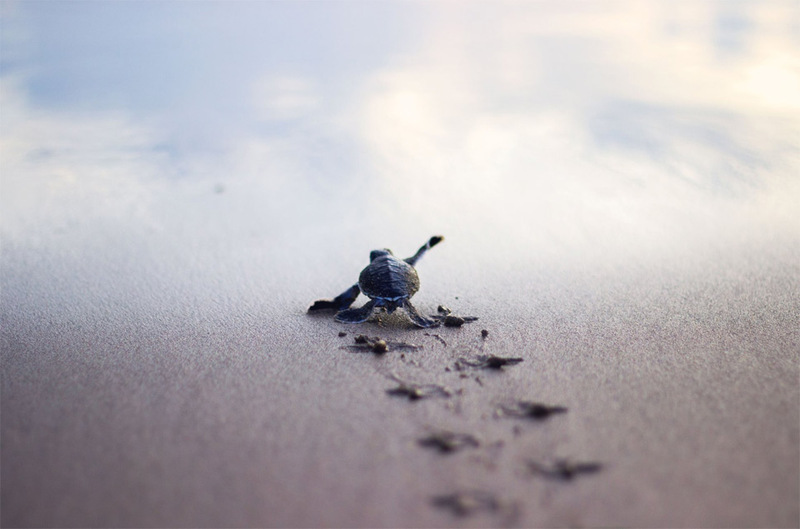 Like the scene of this baby turtle making its way to the ocean. They have survived over 100 million years, keeping the planet lively and full of wonder, but keep in mind if we don't act today, this baby turtle might be the last of its kind. 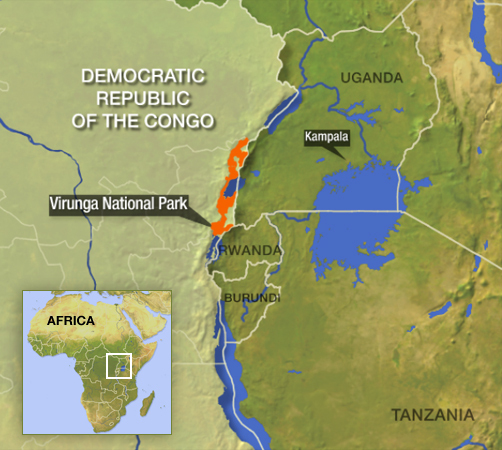 Virunga is Africa's oldest National Park and a UNESCO World Heritage Site. Its biodiversity ranges from savannahs to volcanoes, glaciers and snow fields. 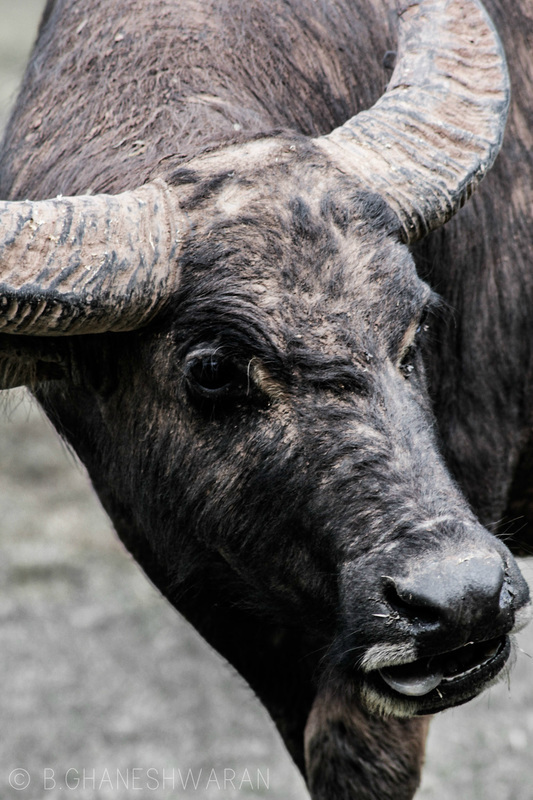 Virunga’s extraordinary landscape is home to an incredible array of wildlife, as well as more than 50,000 people who depend on Lake Edward for jobs, food and drinking water. So says Wikipedia. More informations available there. The picture below is a location map that I extracted from Google images. Just to show you its geographical state. For more information, try the search engine. This is only a story of how this parks existence came about into my life. The date is still in my head, it was 26th of September 2013. While munching on a burrito at my favourite Mexican restaurant, I came across this cause through WWF's official Facebook page. 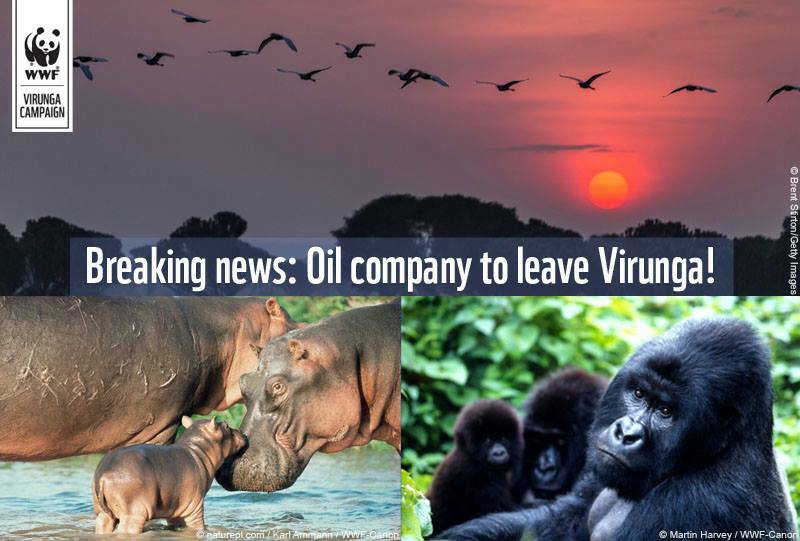 A petition to stop oil exploration activities in Virunga National Park. The image below speaks a thousand words. I kept thinking to myself, does it only take 300,000 people to stop oil invasion and exploration in Africa? Apart from that, is it okay to destroy homes of innocent creatures for the sake of money and natural resources? What have we become? Are we even taking responsibility of our actions? Have we forgotten that Earth inhabits other living things too? I know animals and humans share the world together and its never a fairy tale over the past centuries, but lets put yourself in their shoes. Would you like it if I intrude your home, took your peanut butter sandwich and walk away? Also leaving behind a trail of gasoline, waiting to be fired up later. All I know, is I would be either beaten up until I crap myself or get caught by the authorities. You might ponder, that's a little too deep, maybe irrelevant or stupid. Like how some would say ''its just a jungle'', I would say ''its just a peanut butter'' in return. Catch my point? Thing is, animals have no authorities. We invaded their home, took their space and never learned to share. Authorities for wildlife conservation exist in a from of activists and naturalists, WWF is one of them. And I'm happy they are around. I know its not a fun thing, lets face a fact, we need wildlife to balance our ecosystem. So approximately 8 months later, on 11th June 2014, the operations of the oil company comes to an end. A total of 750,000 joined this effort, signing the petition online, and it paid off. A breaking news for nature enthusiast and animal lovers alike. That's a huge variance from the initial plan of only 300,000. What does it tell you? Go figure. The picture above circulated in Facebook and once again, ironically, I was munching on a taco at the same Mexican restaurant. Strange, but I believe the universe works in a very bizarre manner too. But we fail to focus on little things in life. So we’re relieved that the most immediate threat to Africa’s oldest national park has now been removed. 25% of Earth's mountain gorillas have a home. I had a bad day, but this news made it all good. The moral of this story? Well, I shared many times in Facebook. I even begged a few to sign up and vote. Some did it based on pure love and care. Others did it because they might need my favour in the future. I didn't care much, when their kids see a live silver-back one day, its worth it. The world lives in a barter system as we knew it. Worst part is, some even criticize me. But its a fair game. I'm all cool with it. What I'm trying to say is, there's still greatness in the world. Only if you seek for it. Only if you believe in it. People assume its no more, spreading negativity along with their nasty attitude. This is one example, at least to me and my good friends who voted. Because I seek and believed in it. ** The full WWf article is available at http://bit.ly/1qqxWlq.